Free download World Heroes 2 game for PC. It is full action game developed for neo geo platform. World Heroes 2 is the sequel of World Heroes PC game. 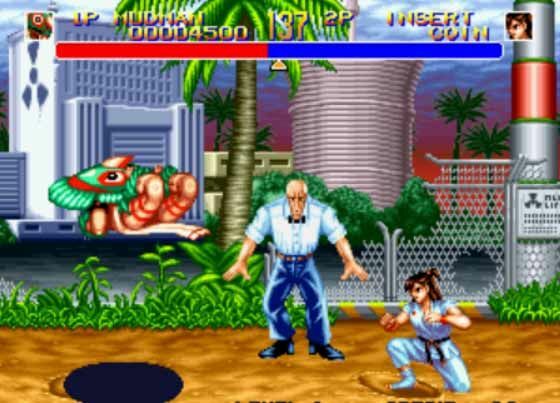 World Heroes 2 is one to one fighting game very similar to Street Fighter 2 game. It is very popular game of 90s. World Heroes 2 game is very easy to play and download. You can download it from the download link given below. After downloading, extract the zip folder and start to play game according to the instructions given below. In World Heroes 2 game, you have to select your fighter from the list. There are 12 players and you can select any of your choice. After selecting the player, you have to select the game mode. There are two modes; Normal Game and Death Match. In Normal Game, you have to fight with your opponent normally and have to defeat him twice. If your opponent defeats you twice, you lose. In Death Match, you have to fight with your opponent with combine life bar. This life bar is divided with two colors blue and red. Red color for you and blue for your opponent. If you hit your opponent, your red color will increase otherwise decrease. You have to make the bar red completely to win the match.